37099 leads through St Denys with the test train on Wednesday 11th. Image by Nigel Barnes-Evans. 37116 on the rear. Image by Nigel Barnes-Evans. 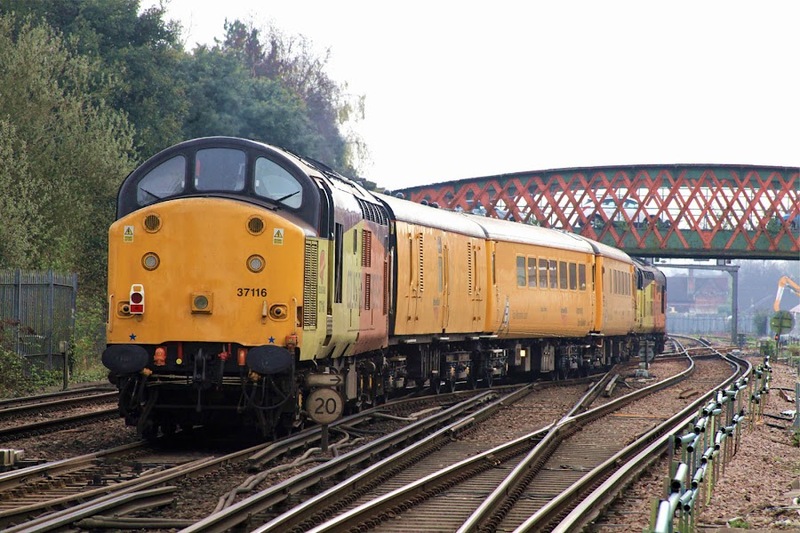 GBRf have placed their 73/1 and 73/2 locomotives in pool GBED into a warm store with minimal usage - until Network Rail commits further requirements to support overhauls. 31601 has entered preservation at the Ecclesbourne Valley Railway. Last noted at Eastleigh in June 2015. Seen with the Railvac train at Redbridge on 5th October 2014.